FIORANO has made respect for nature a priority. We closely follow certified organic agricultural procedure. 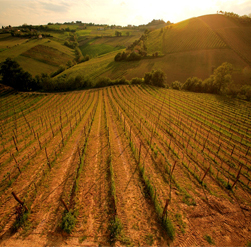 To produce our wines, we have planted vineyards of indigenous grapes, from a selection of our existing varieties. We use specific techniques to minimise environmental impact. The by-products of wine-making (stems and pomace) are used for fertilising our fields. The residue from pruning is used in our fire at the farm, to heat the house. Some of the waste water from the winery is used for irrigation . In addition, the wine cellar has been built into the hillside and insulated in such a way as to reduce energy wastage, as well as control the internal temperature. Hot water comes from a solar thermal system that also serves the house. 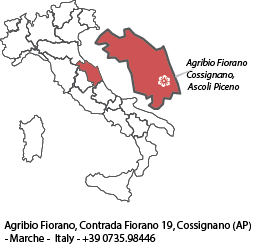 In July 2010, a 12 kWh photovoltaic system – a fully integrated canopy to shelter farm equipment – was installed, that has rendered the farm almost self-sufficient in energy needs, and has branded Fiorano as a “farm with low environmental impact.” A total output of 13,900 kWh/year provides more than 90 % of the needs of the farm and winery. Estimated savings in CO2 emissions amount to 9.1 t/year. As such, the energy used in our production activities is actually generated in-house without any impact on the environment. 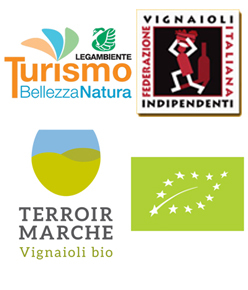 Thanks to our eco-friendly approach, Fiorano has earned the recognition of the Marche Region for restructuring in accordance with green building techniques, the Quality Mark ISNART, the Ecolabel award, and Legambiente Turismo’s “Organic Ambassadors”.